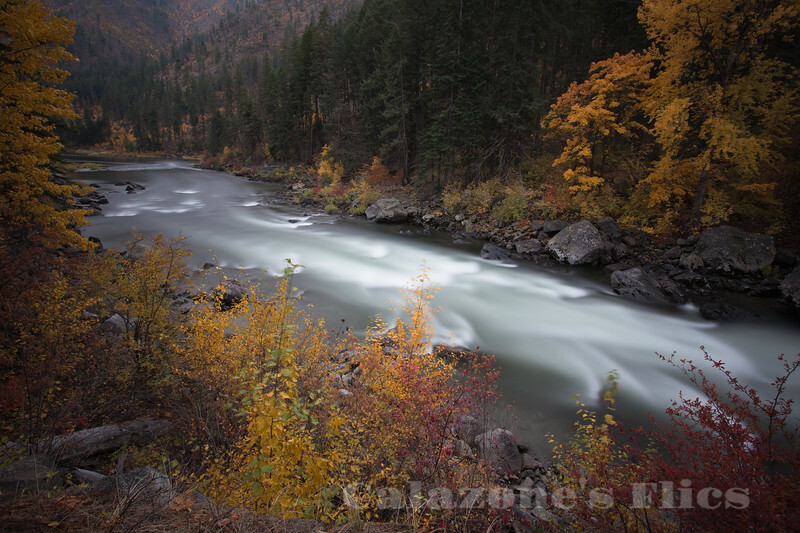 The Wenatchee River is a river in the U.S. state of Washington, originating at Lake Wenatchee and flowing southeast for 53 miles (85 km), emptying into the Columbia Riverimmediately north of Wenatchee, Washington. On its way it passes the towns of Plain, Leavenworth, Peshastin, Dryden, Cashmere, Monitor, and Wenatchee, all within Chelan County. The river attracts kayaking and river rafting enthusiasts and tourism. Beautiful long exposure of the water! Breathtaking - love the colors!! Excellent exposure time to get a living river in the autumnal landscapea.